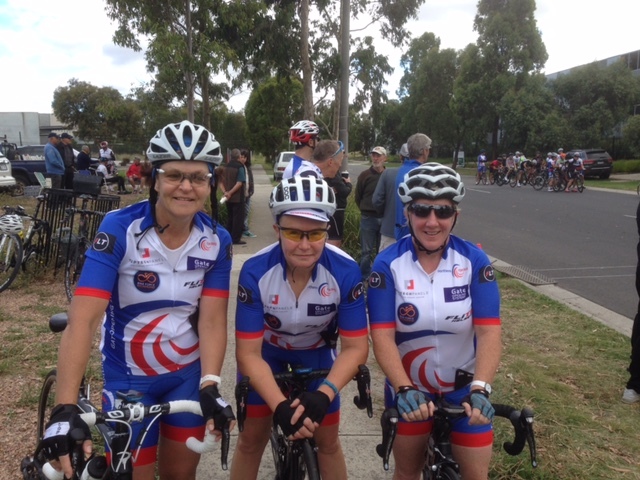 Northern Cycling presently has about 13 female members but that number is growing all the time as the Club’s Committee actively promotes and encourages women to join. For only the third time in the club’s history there is a women as Club Vice President and Jo Read is committed to getting more women into cycling and into the club by deliberately encouraging a culture that supports women’s involvement. A big part of that is providing an environment which is controlled, fun and supportive with friendly and welcoming club members who can teach women the skills and give them confidence to start racing. Introductory Sessions Several times a year, the club holds ‘roll and race’ events for beginners (both men and women) who have thought about racing but never known where to start. 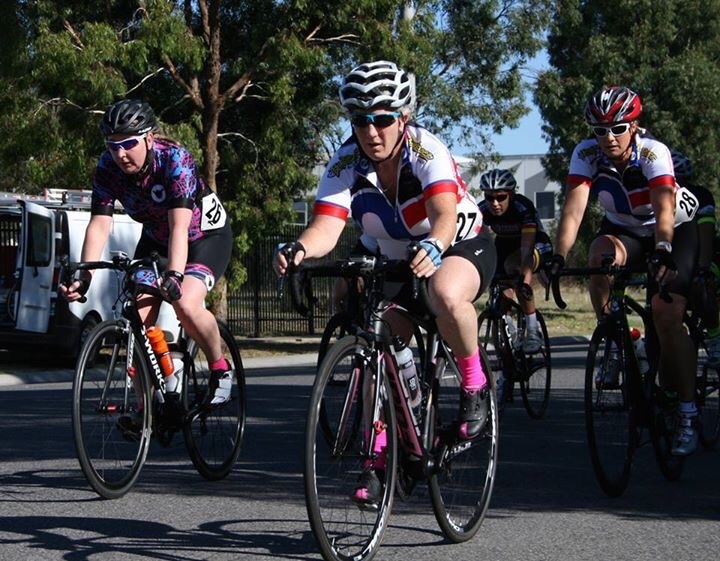 Newcomers are able to roll around our 1.7km criterium circuit at National Boulevard, Campbellfield, for 30 minutes and learn to ride in a group with experienced club members who will guide them on the etiquette and techniques of road riding in a bunch. They then race for three laps in a controlled environment and see if they can win one of the three medals on offer for first, second and third place. Further Information For further information about joining Northern or coming along to give racing a try, contact Vice President Jo Read on 0439 961 770. How long have you been a member of Northern? Nearly a year. What made you join/take up racing? I’d had a few years off racing and followed my partner out to a race one day. The atmosphere was good and the competition was good, so I was keen to give it a go. Has your riding/racing improved? My motivation to race has definitely improved. What are the benefits of being a club member? Getting to race with people who want to ride hard but realise that they need to go to work on Monday. What do you enjoy most about racing? The satisfaction of pushing myself and sometimes going better than I expected. 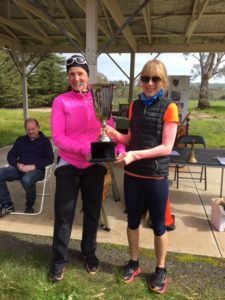 Would you recommend racing with Northern to other women? Yes, definitely. There’s a wide range of fitness levels and pretty much everyone is catered for. How long have you been a member of Northern? I joined Northern about two years ago. What made you join/take up racing? 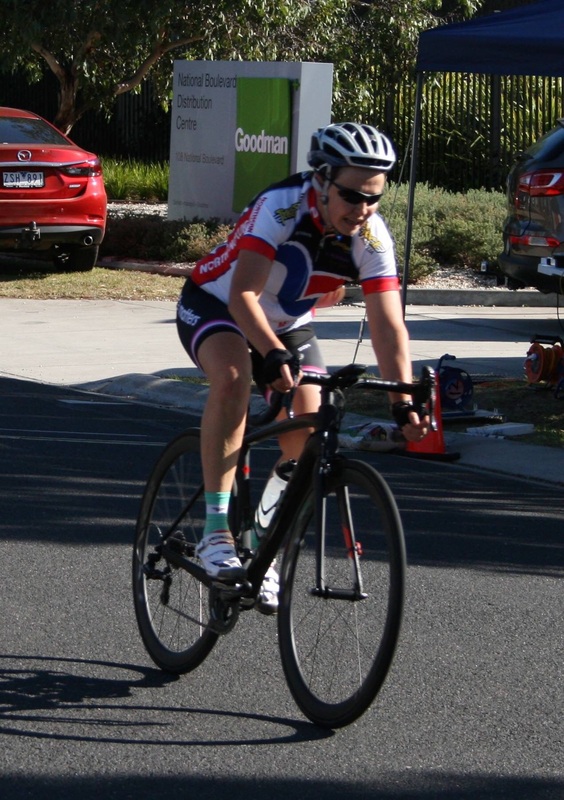 My sport is rowing, I wanted to do something different as a cross training sport so I chose cycling. We have a few friends that also race at Northern who encouraged us to come along and try it out. We have since recommended Northern to our friends too! Has your riding/racing improved? YES definitely. 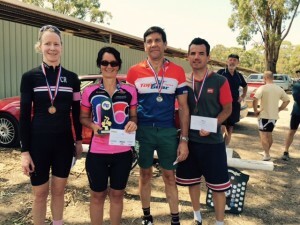 My first race was in Lancefield and I couldn’t even get up the hill. I had to get off and walk my bike. Every time I race I learn more about the sport and also the tactics involved. What are the benefits of being a club member? Insurance for starters and peace of mind. Being around like-minded people who also enjoy racing. Having the races available to race it. What do you enjoy most about racing? Well, its a great workout, the physical challenge to keep pushing your body anmind to the limits. Every race is different and so it the strategy behind it. All the members are welcoming and supportive and this is a bonus with the handicap road races. 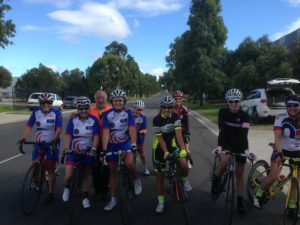 Would you recommend racing with Northern to other women? Yes definitely and have done so, I have three friends that are members now too! How long have you been a member of Northern? This is my third year racing with Northern. What made you join/take up racing? A friend who was a member convinced me to join. I was a bit hesitant at first, but I saw it as a natural next step from recreational riding in events like Around the Bay, Amy’s Ride etc. I wanted to improve my skills and fitness. Has your riding/racing improved? Everyone has good days and bad days in the saddle, but overall I believe I have improved. The competition of a race makes you challenge and push yourself further than you ever would if you were just out for a ride. There’s no stopping on the side of the road for a drink and a bit of a rest! And the amount I have learned from other members in terms of tactics and skills has been invaluable. What are the main benefits of being a club member? There are so many benefits. It’s very social and great to catch up with fellow racers every week. It keeps you fit and healthy. 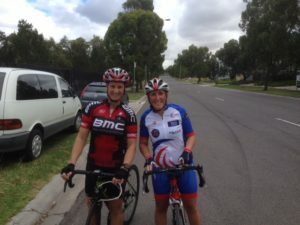 You learn new skills and tactics and gain confidence on the bike. You get to race in a controlled and relatively safe environment. And, if you become a member, you’re fully insured, which is a big bonus. Like any sport, cycling has its risks. What do you enjoy most about racing? Catching up with friends, the satisfaction of completing a race and hopefully doing a bit better than I did last time. And learning something new … there’s always something new to learn and some of the older members of the club are fantastic mentors to those who are starting out. Some are in their 70s and 80s and still racing every week – they are an inspiration. 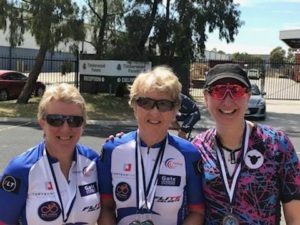 Would you recommend racing with Northern to other women? Absolutely. Cycling can seem like an intimidating environment for newcomers but Northern is welcoming, friendly and fun. I would urge anyone – men or women – to give it a go.